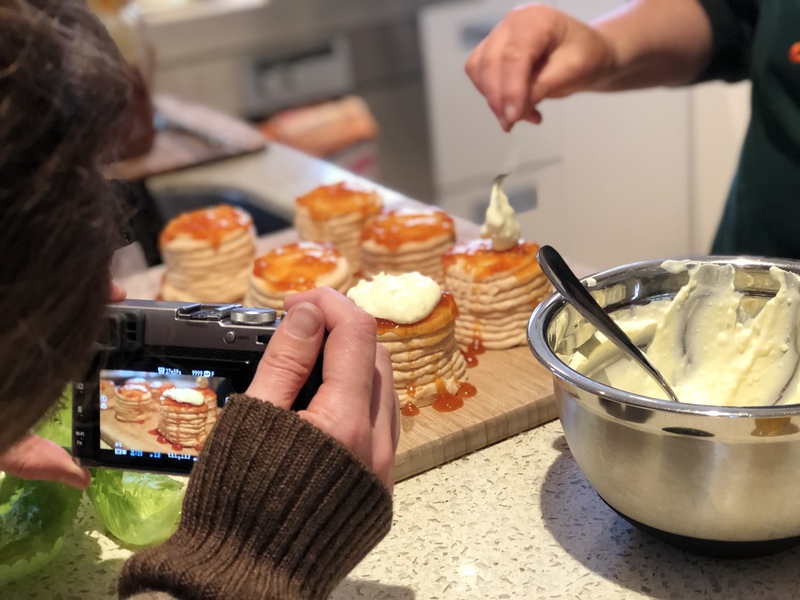 It has been quite a while since my last posting…and I will later let you know what I have been up to. 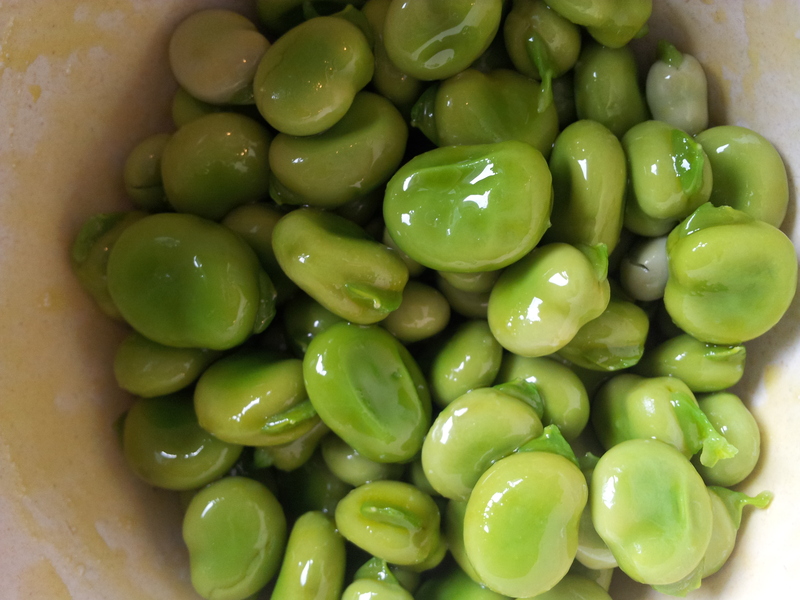 But right now the first harvest of our broad beans has to be celebrated. 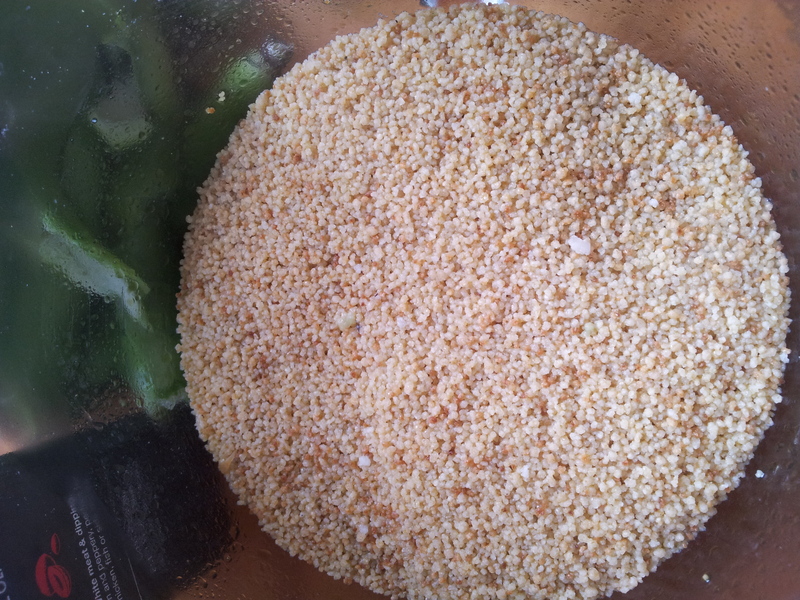 As there weren’t that many beans after podding my first harvest, I decided to make a broad bean couscous – that way everyone got to taste a bean or two. 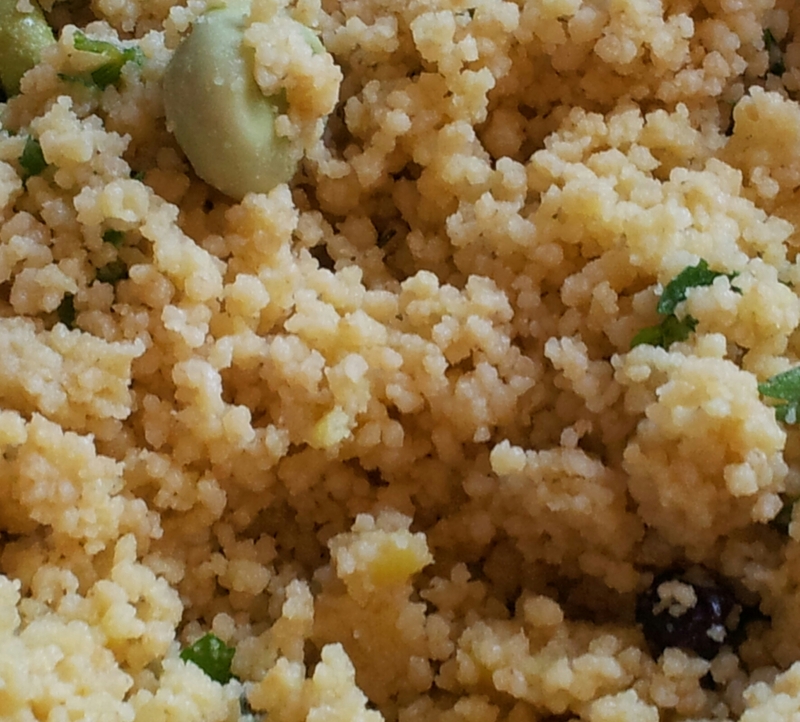 And somehow broad beans and couscous just seem perfect partners. Broad beans flower in early spring, and you can take some (not all or you won’t have beans) for inclusion in salads. 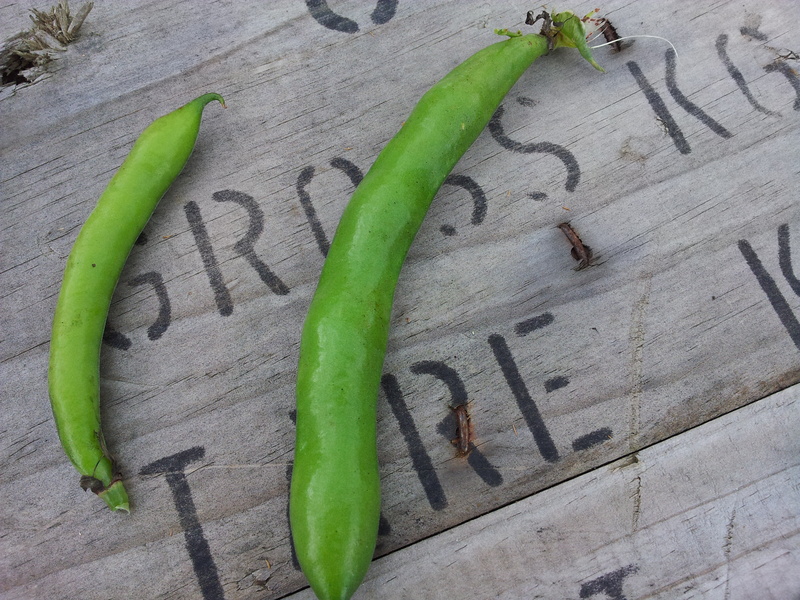 Here’s the immature pod compared to a matured bean pod. 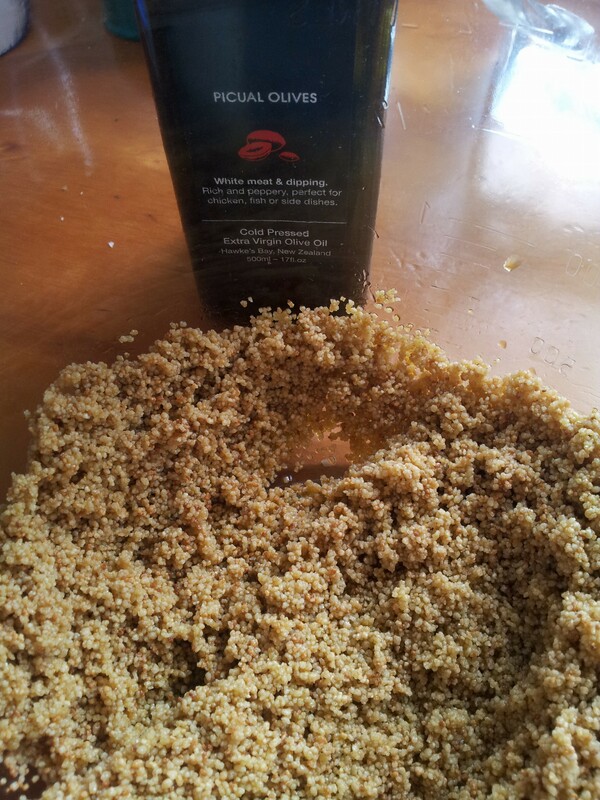 Don’t you just hate it when Couscous clumps together? 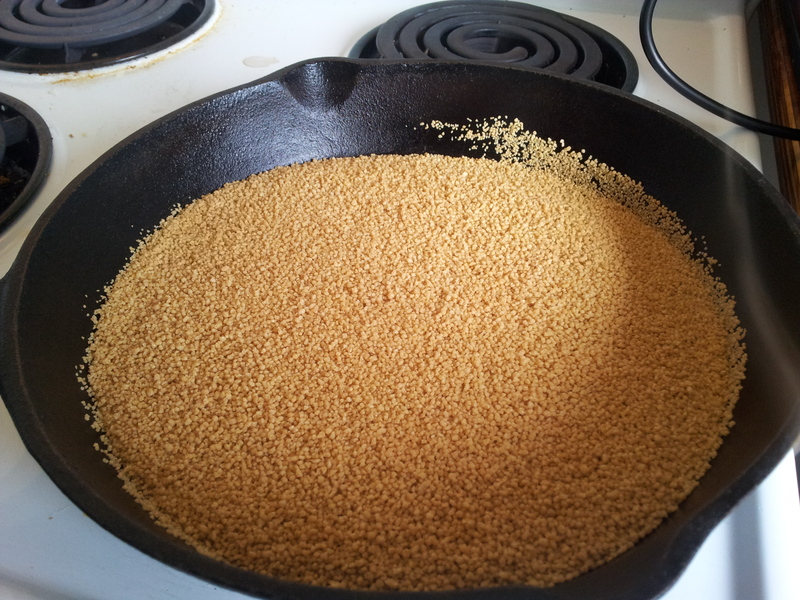 I have learn’t a couple of tricks that will improve your couscous dish. 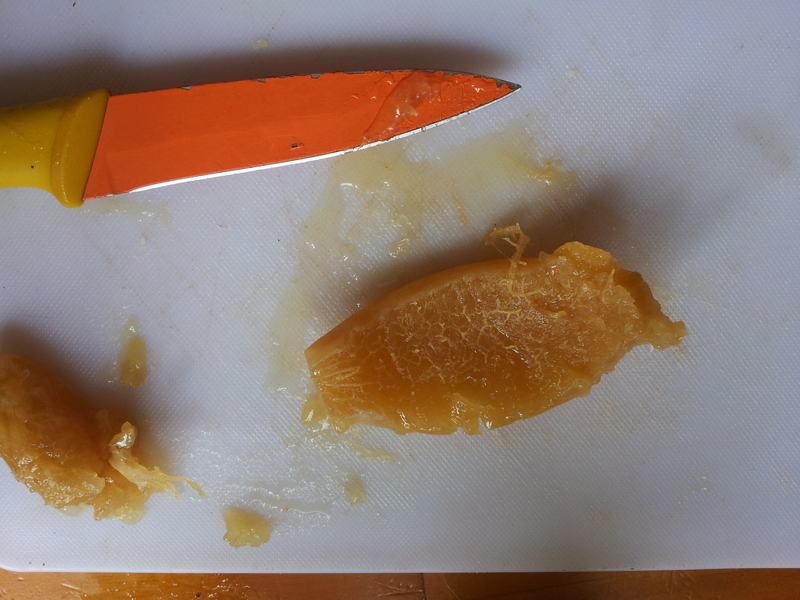 Lemon goes really well with beans so I scraped a preserved lemon quarter of its salty flesh and was left with just the preserved peel remaining. 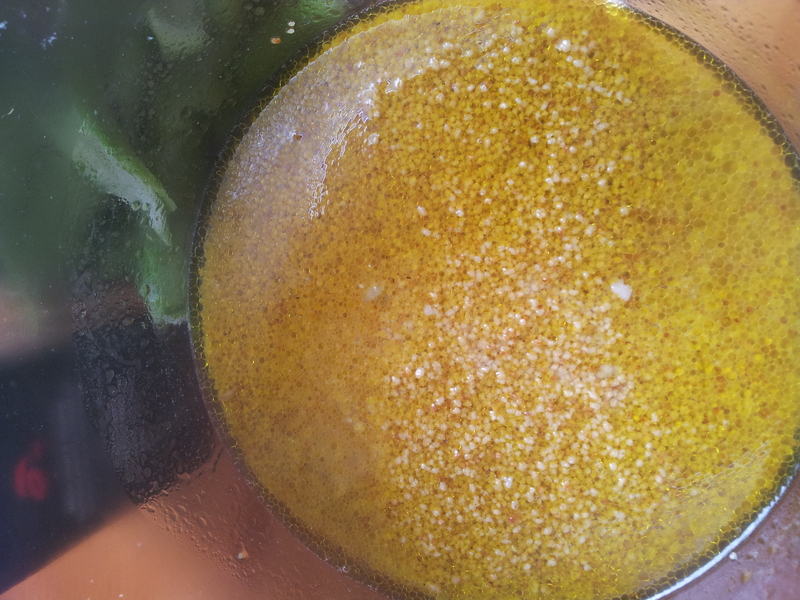 Dice and add along with half a fresh lemon’s zest. 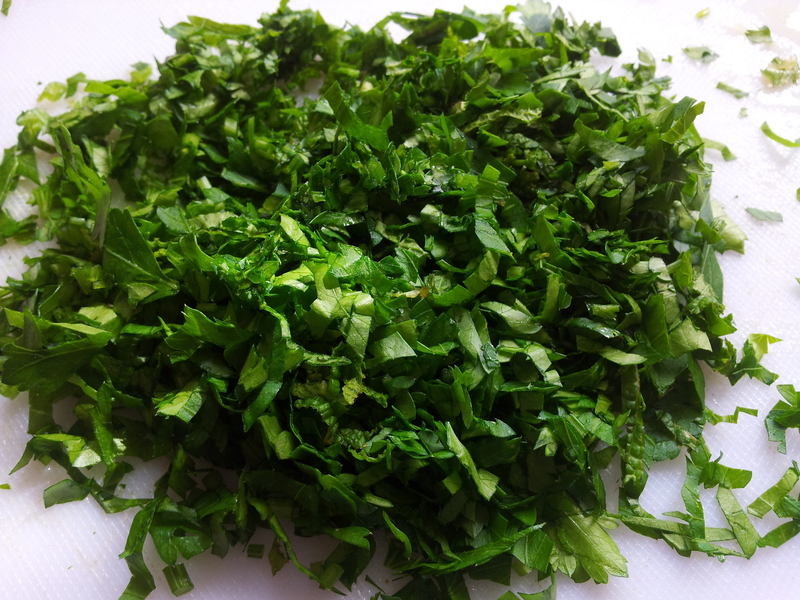 If you haven’t got the preserved lemon – no worries just use the lemon zest from one lemon instead of half. 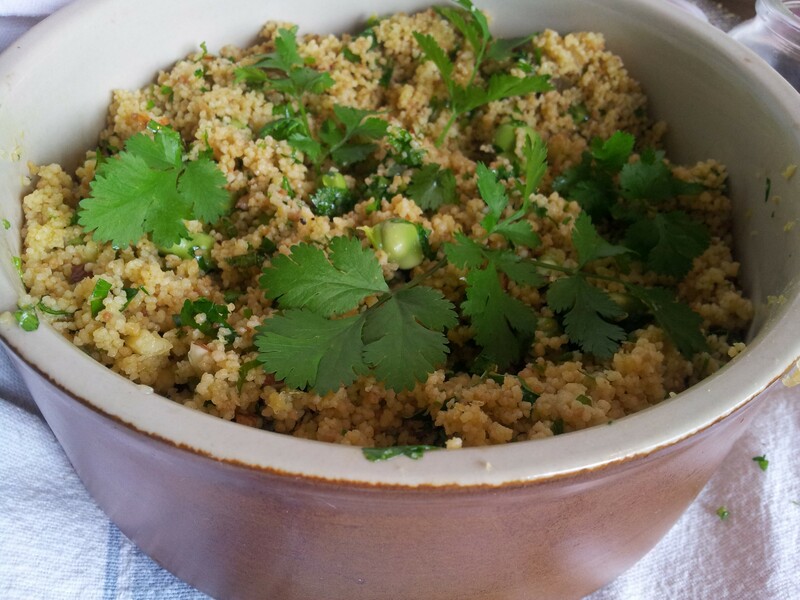 The good thing about this dish is that you can prepare it ahead of time – in fact it will improve if left overnight. We had this with roast chicken, roasted new carrots and asparagus but it will work in combination with any meat, fish or vegetable dish. Over the past few months my focus has not been on cooking but on gardening. 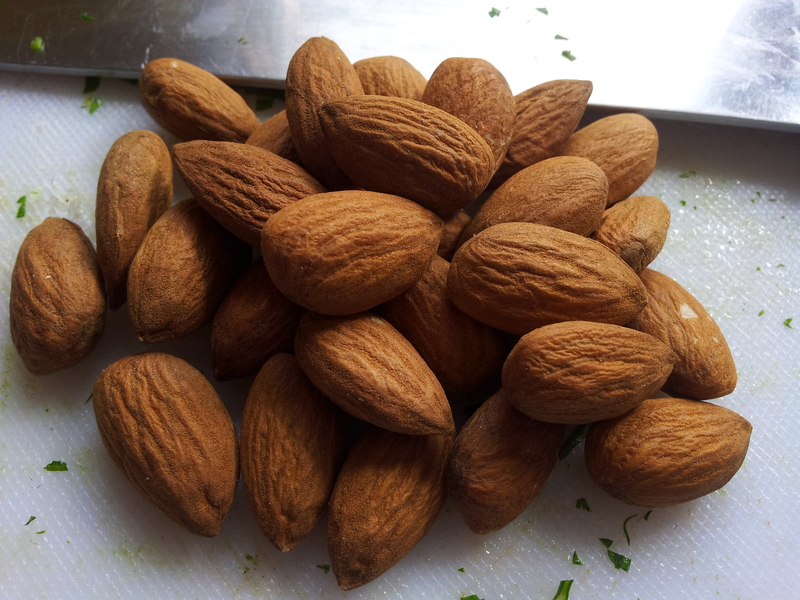 I decided this year that I would increase my knowledge either in nutrition or growing food. In the end I chose gardening as I felt the greatest nutrition comes from growing food in healthy soil and reducing the time from picking to the plate. I am attending an Agriculture NZ Organic Horticulture course once a week and already I realise just how much I don’t know about growing. 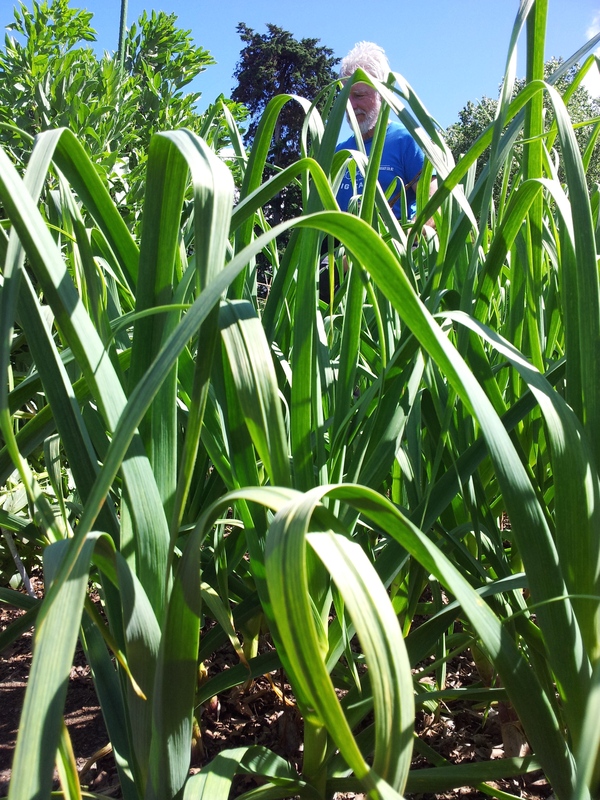 Garlic at foreground; beans background – Peter standing beside them shows their growth is not at all stunted. Last week I learnt that you shouldn’t plant beans and legumes with garlic and onions… and that was exactly what I did this year at our garden plot. Our garlic is growing magnificently and next to them our beans seem to be doing well. Why don’t legumes like the onion and garlic family? Apparently what makes garlic so good for us – killing bacteria – affects the bacteria that fixes nitrogen in the legumes. The beans have started to get rust but are producing well. I will keep an eye on them and next year keep the two apart – and they need a distance of over a metre. 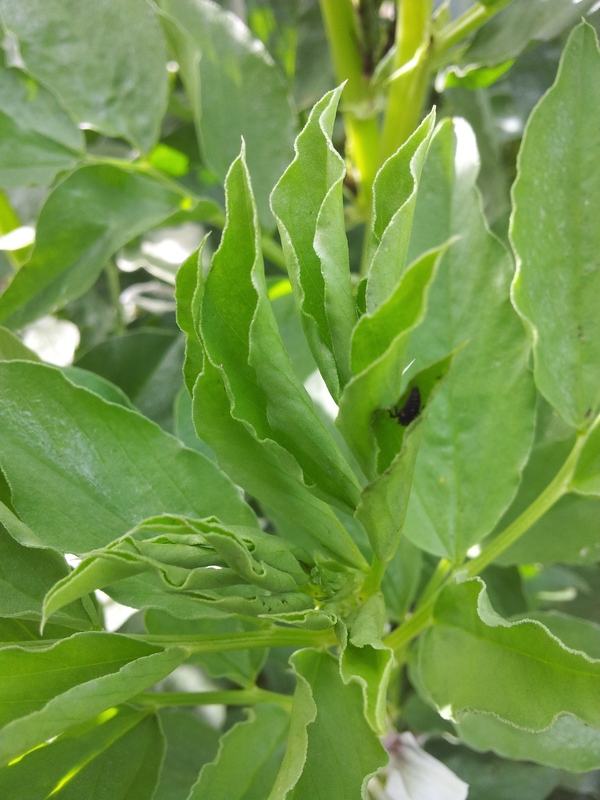 Broad Beans are easy to grow and King’s Seeds have a dwarf variety available that just grows to one metre if you are short on space. 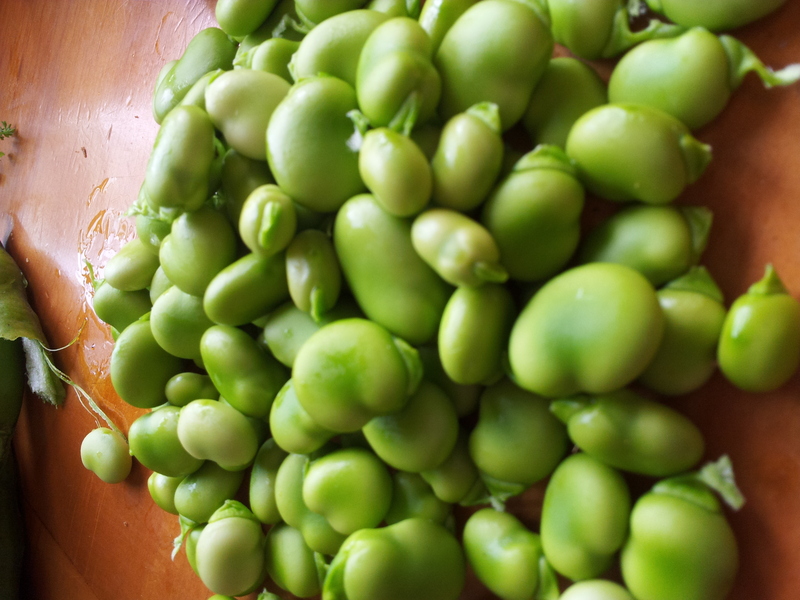 But what if you have a real dislike of Broad Beans? Then think about planting them anyway before Anzac Day (April 25th) – let them grow up in winter and just as they begin to flower dig them back into the soil. 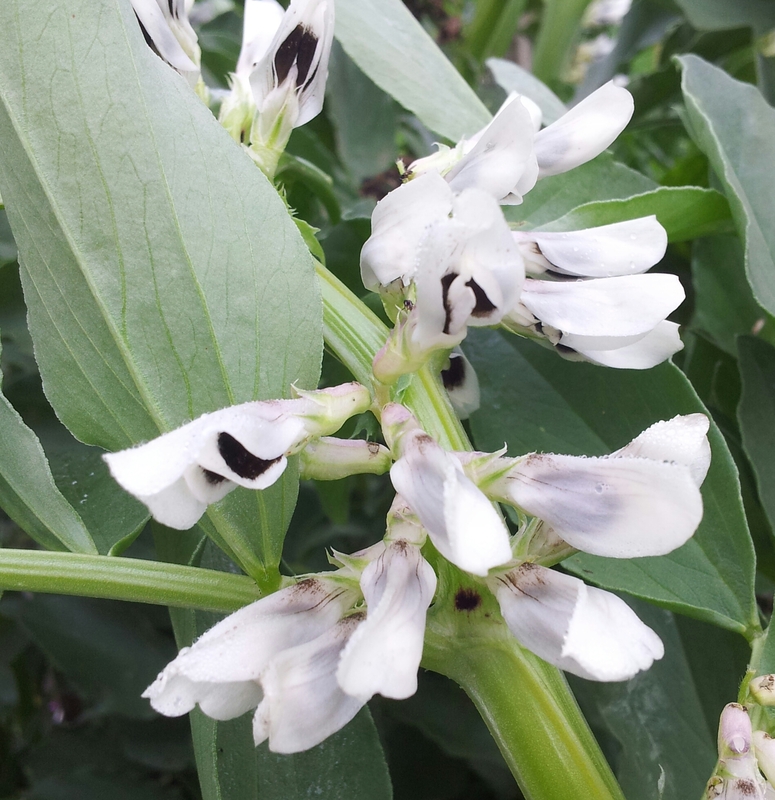 You won’t get to eat the beans but your soil will receive a good feed of organic matter and a dose of nitrogen ready for an early summer crop you just love to eat. It will take just a month in spring for the bean materials to break down. 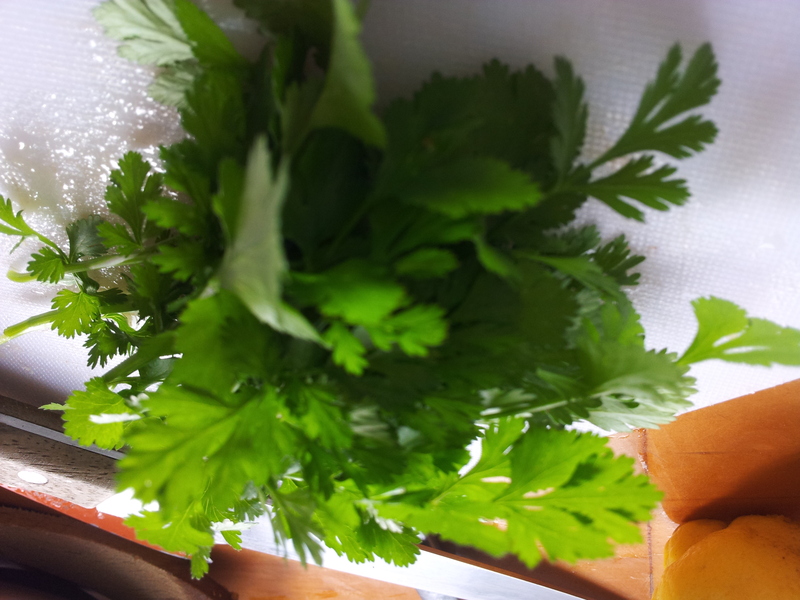 Before digging in – remember you can utilise the peppery green shoots in a stir fry or late winter salad. You will have your revenge on those beans your mother made you eat as a child and your soil will thank you!